Welcome back to my blog today. 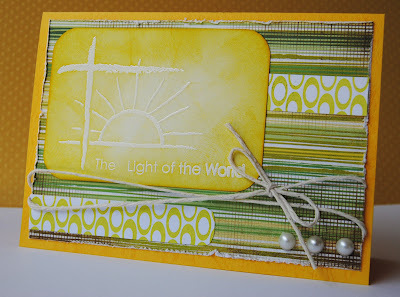 So glad you decided to join us in our February Blog Hop at AnnaBelle Stamps. 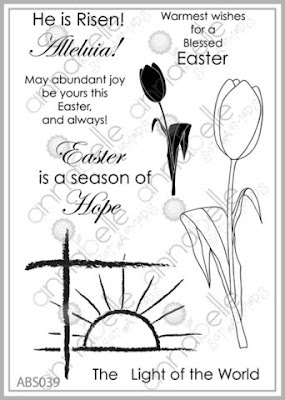 Today we are releasing a GORGEOUS new set called "Easter Hope". I LOVE this set!!!!! This set is packed full of lovely stamps and is perfect for Easter cards or Christian based cards. Here are the two cards I put together with this lovely set. And here is my second card. The set will be available straight away with free postage for 24hrs for those living in Australia and for the rest of us we will get a $5.00 discount. The code for Australian customers is "febrelease" and for others is "intfebrelease". You will only need to key in the code to receive the free postage or discount offer on any order that includes the released set. When there is more than one set and you decide to purchase both then we'll include a little something extra as a treat! So as normal we are holding a blog hop with this release. You will start at the Annabelle Blog, and follow the links along the way. If you leave a comment on each of our blogs you could win this wonderful set!!! Hope you enjoy your HOP with us, don't forget to leave a comment along the way!! We will be releasing another gorgeous set tomorrow, so please come back again then!!!! I love, love, love that first card! Is it just white embossing powder on the stamped image? It is just fabulous! I love your emboss resist with that image Rene...perfect. 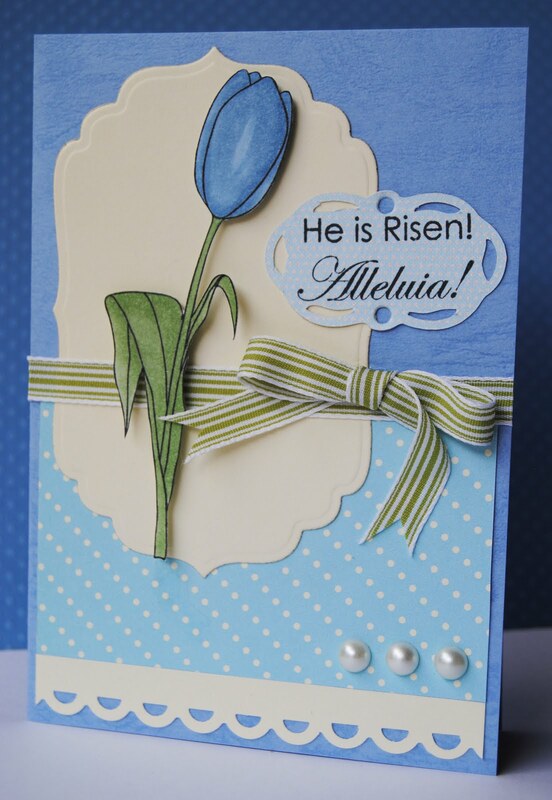 Such a pretty blue tulip too. I just love this set too. So much you can do with it. Great samples Rene. Jaw dropping gorgeous! You showcased the new set beautifully! Pretty work Rene. Great colour work on the first card - just beautiful. 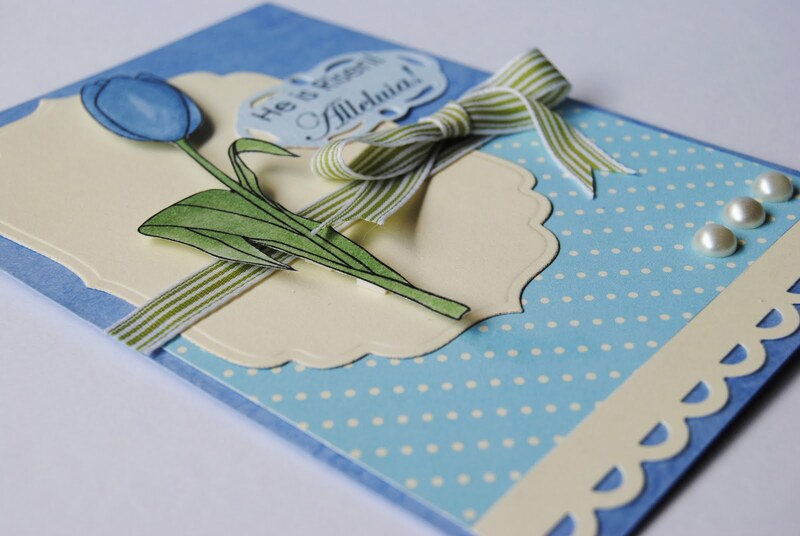 Your first card is a stunner, love your colours and your background for your image and your second card is oh so pretty, love the Blue tulip!!! WOW love both cards, the colors are awesome, you design girls are making this set look so versatile and easy, beautiful work. 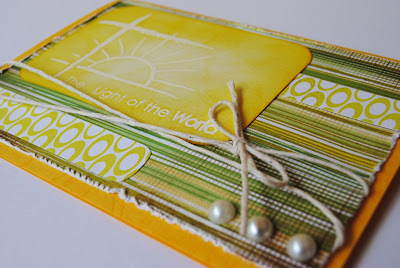 Really love these cards, the embossing on the first one is fab! Beautiful colour combos Rene. Love all the different shapes on the 2nd card. Love the First card with the awesome colors and the blue tulip card looks so pretty.